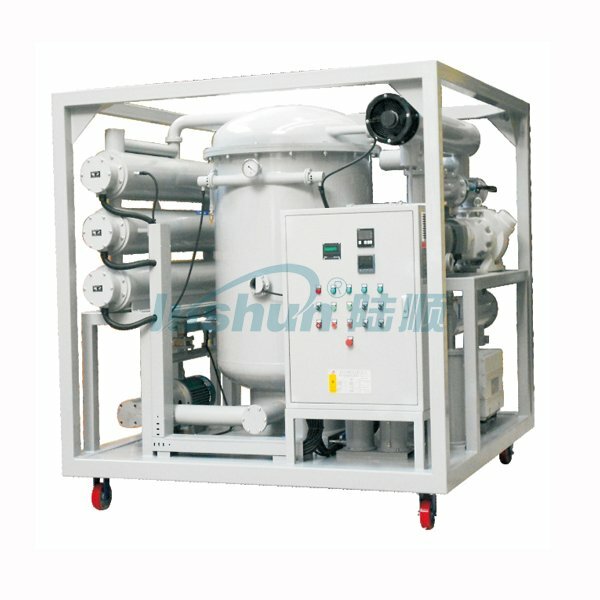 ZJA-T Series Double-Stage Vacuum Oil Purifier for Ultra-high Voltage Transformers - Buy Oil Purifier, Vacuum Oil Purifier, Double-Stage Vacuum Oil Purifier Product on Transformer Oil Filtration---China Chongqing Lushun Scientific & Technological Development Co., Ltd.
1. Especially suitable for purifying transformer oil applied in ultra-high voltage power supply systems such as 500KV, 750KV and 1000KV AC power grid and ±660KV, ±800KV DC power grid, etc. 2. Usually used for on-site transformer maintenance and deep purification of new transformer oil, imported transformer oil oil, mutual inductor oil and ultra high voltage transformer oil. 3. Can be also used for vacuum filling transformer oil and vacuum drying the transformer. 4. 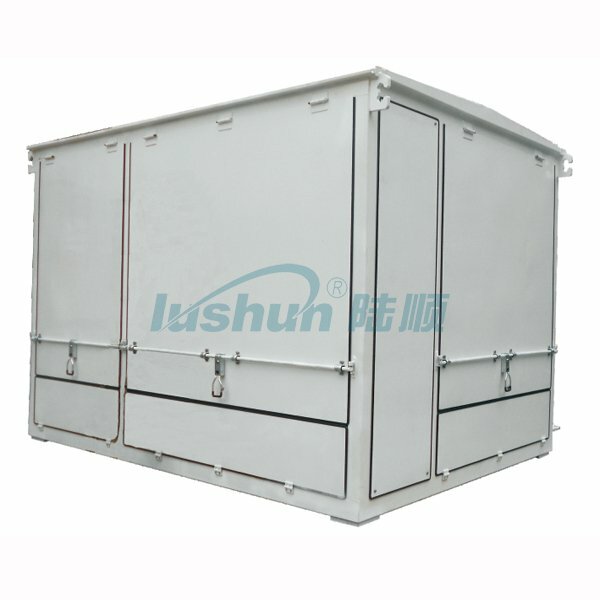 Optional style: mobile style, fixed style, trailer style, fully enclosed style, conceal eaves type, canvas style and open style. 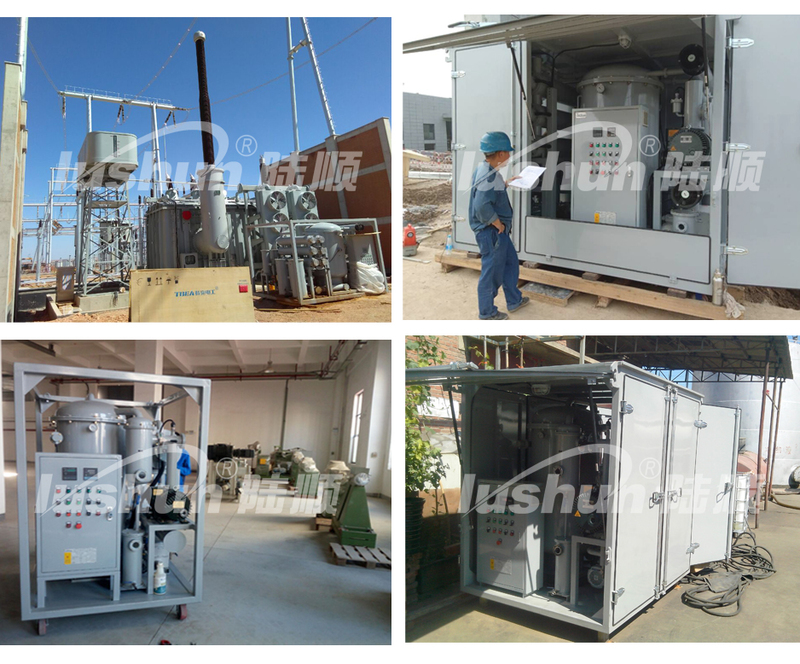 ZJA-T Series Ultra-high Voltage Vacuum Transformer Oil Purifier is especially applied to 500KV, 750KV and 1000KV AC power grid and ±660KV, ±800KV DC power grid for the insulating oil treatment and maintenance. 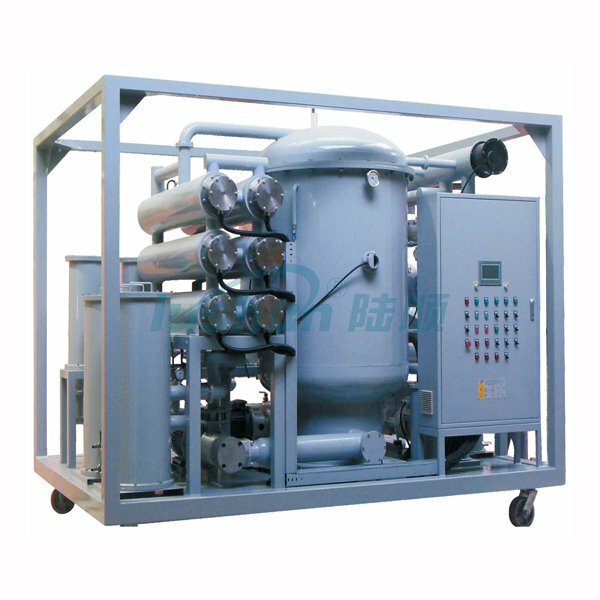 ZJA-T Series Ultra-high Voltage Vacuum Transformer Oil Purifier is very powerful in abilities of vacuum degassing, dehydration and filtration for insulating oil or transformer oil. It applies to on-site transformer maintenance and deep purification of new transformer oil, imported transformer oil oil, mutual inductor oil and ultra high voltage transformer oil. 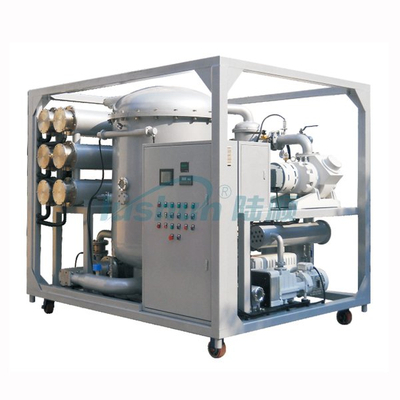 It can also be used for transformer oil vacuum filling and vacuum drying operation. ● Advanced double-stage large capacity dehydration and degassing system which adopts large area three-dimensional flash evaporation technique to remove harmful composition in the oil such as water, air,gas and hydrocarbon etc. ● It can be widely used for transformers on-site installation or maintenance to fill oil into transformers and circuit breakers under vacuum condition or conduct transformers evacuation operation. ● Precise filtration system, high-quality filtering elements and multi-stage filtration with gradual precision can help to remove mechanical impurities from the oil effectively. 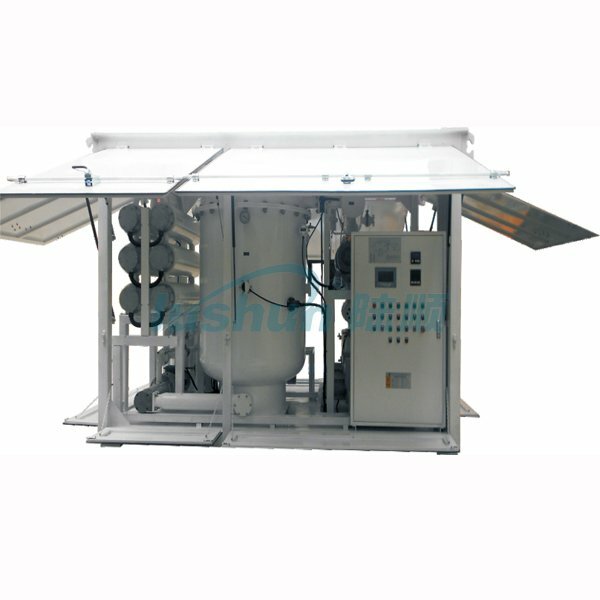 While the filters are with self-inspection function for the pollutant-containing conditions. ● Equipped with automatic temperature control system, liquid-level control system, defoaming control system, pressure protection system and high quality main components to ensure operation of the equipment with high reliability and perfect performance. ● The machine supports on-line operation without supervision with indicators to show operation status. ●The machine adopts humanization design with low noise, easy operation, long free-maintenance time and energy saving to lower the operation cost. ● With electrical control inter-lock design. 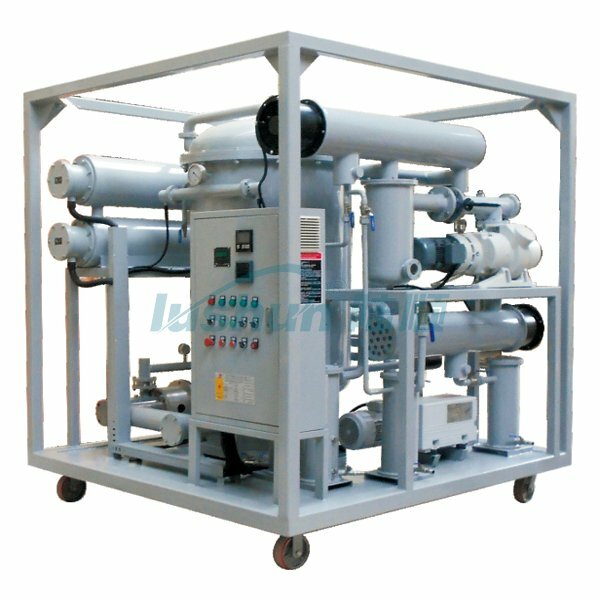 Vacuum system, oil pump system and heating system are interlocked in control. ● Equipped with indication for changing filters and automatic stop device for overloaded filters. ● Equipped with emergency stop for electric leakage and power overload to protect the motor. ● With phase-sequence, phase lose protection function and safety control for sudden shut-down. ● Equipped with vacuuming interface for transformer evacuation operation. ● The outlet can inlet can be interchanged. ● PLC intelligent control with touch screen operation and operation status dynamic display. ● Online moisture tester, online particle counter and online flow meter with adding-up function. ● The whole structure of the machine: mobiles style with four wheels, fixed style, mobile style with trailer(double axles or single axle), fully enclosed style, conceal eaves type and open style of canvas etc. ■ Above mentioned weight and size are for reference only, the specific data shall be as per the standard of real goods. Copyright  Chongqing Lushun Scientific & Technological Development Co.,Ltd. All rights reserved.